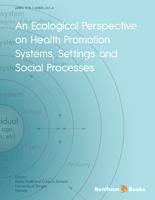 This book presents recent theoretical and empirical studies by many eminent researchers all over the world and is composed of eleven chapters. The first five chapters study firms’ strategic decisions in oligopolistic industries based on the theory of firm behavior. Chapter 1 considers an oligopolistic model for parking lots with conjectures concerning the price variations depending upon the agents’ offered parking space increase or decrease, given an existing exogenous shop driven demand, which may be affected by a parking discount for shop customers. This chapter introduces the notion of an exterior equilibrium and a special type of an agent’s cost function, and establishes the existence and uniqueness of the interior (conjectured) equilibrium. The concept of equilibrium with the conjectures is different from the classical Cournot-Nash one. Chapter 2 considers unionization structure and shows that in quantity competition, the total utilities of the decentralised unions are higher than the utility of the centralised union only if the centralised union charges a uniform wage and the firms’ productivity differences are large irrespective of product differentiation; in price competition, the total utilities of the decentralised unions are higher than the utility of the centralised union only if the centralised union charges a uniform wage with the firms’ productivity differences are large and the degree of product differentiation is small. Chapter 3 uses general models to derive specific price equilibrium applying to collusive price behavior between multi-store and mono-store firms, and shows how the multi-store firm may find strategically advantageous to base its pricing policy on the degree of substitutability of its product line with respect to those offered by its competing rivals. Finally, the chapter shows that the decisive factor in establishing multi-store initiated cartelization may be (i) the number of firms included in the cartelization and (ii) the location of the independent store relative to those owned by the dominant firm. These two elements can indeed be as decisive as the total number of players in the market. Chapter 4 considers simultaneous and sequential move games in which banks compete non-cooperatively, and shows that an industry characterized by a leader bank and other follower banks moving sequentially may lead to larger volumes of loans and lower loan prices for the borrowers. This chapter also finds that cost reducing investments in banking technologies may generally lead to larger lending activities and lower loan prices for the borrowers, and that banks’ net margin (the difference between the price that banks receive by lending and the cost of making that loan) increases as banks become larger. Chapter 5 examines a two-stage mixed duopoly model in which a state-owned firm and a foreign labor-managed firm are allowed to offer lifetime employment as a strategic commitment. The main results of this chapter can be summarized as follows. First, though the state-owned firm’s reaction function is upward sloping, the slope is gentler when it offers lifetime employment than when it does not. Second, if the foreign labor-managed firm does not offer lifetime employment, then its reaction function slopes upwards, whereas if it does, then its reaction function is downwards. Third, there may be multiple stable Cournot solutions in the international mixed duopoly model. Chapter 6 considers a two-stage price-setting model of an incumbent firm and a potential entrant. Demand functions are divided into four cases, and each case is correlated with two opposite strategic commitments. This chapter presents the entry-deterring equilibrium outcomes resulting from the strategic commitments of the incumbent firm in all four cases and shows the effectiveness of strategic commitments in Bertrand competition. Chapters 7-9 investigate strategic interactions in vertically related industries. Chapter 7 examines a vertical market that is composed of one upstream input supplier and two downstream firms. Moreover, the downstream firms choose their internal channel structures strategically prior to choosing their outputs. The following two main points are revealed. First, uniform pricing by the upstream input supplier leads to higher total welfare than under discriminatory pricing. Second, uniform pricing is more profitable than price discrimination for the upstream input supplier. Chapter 8 considers a successive monopoly in which a franchisor supplies a product to a franchisee. The franchisee makes a demand increasing investment, and the franchisor can propose either a margin-based royalty (MBR) or a sales-based royalty (SBR). First, the chapter shows that the SBR has the advantage of providing a greater incentive for the franchisee to invest, but has the disadvantage of inducing a greater double-margin distortion. Second, the chapter proves that the MBR has the advantage of influencing a smaller double-margin distortion, but has the disadvantage of weakening the incentive for the franchisee to invest. Finally, the main results of the chapter shows that if the market is non-elastic, then the franchisor enjoys a higher pay-off from SBR than from MBR, and that the investment level under SBR is always larger than that under MBR, regardless of market elasticity. Chapter 9 considers a vertically related model of patent licensing of eco-technology between an innovator and duopolistic polluting firms where polluting firms may purchase a license of pollution abatement technology from an outside innovator. This chapter shows that eco-innovator can construct the optimal two-part tariff licensing strategies to provide non-exclusive licensing contracts, while the optimal strategies might yield welfare loss for some ranges of production cost and environmental regulation. Chapters 10-11 provide recent empirical contributions. Chapter 10 proposes a method to evaluate financial losses of enterprises caused by breaks of information security systems. The method can be used to estimate the losses as a result of the information system’s accidents (for example, computer attacks or unauthorized intrusions), and in addition can evaluate the risk level of any enterprise. As an illustration, a practical example of estimating financial losses based upon a real-life case is presented. Some results of dynamic changes of variables involved in the method are also shown. Chapter 11 investigates whether the choice of a particular source of funds represented by trade credit is associated to technical efficiency progress for a large sample of Italian manufacturing small and medium enterprises (SMEs) observed from 2003 to 2007. Applying a data envelopment analysis (DEA) approach to firm-level data, this chapter retrieves a measure of technical efficiency change and performs some nonparametric tests to verify whether the differences observed are significant. As a result, it is shown that higher trade credit ratios tend to be associated to firm efficiency gains in almost all the sectors under analysis. 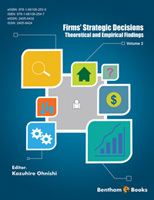 These studies cover and develop a wide and varied range of important aspects of firm behavior, such as Bank competition, Bertrand competition, centralized union, channel structure, complementary goods, consistent conjectural variations equilibrium, credit market, Cournot competition, decentralized unions, eco-technology, eco-innovator, entry deterrence, environmental regulation, exterior equilibrium, financial losses, input price discrimination, international mixed oligopoly, interior equilibrium, sequential move game, simultaneous move game, state-owned firm, subgame perfect equilibrium, technical efficiency change, trade credit, two-part tariff licensing, and vertical control. The theoretical chapters in this book investigate strategic interactions among firms by using the analytical tools of game theory to build models of economic systems. This book presents many significant and important findings of theoretical and empirical studies on strategic decisions by firms. 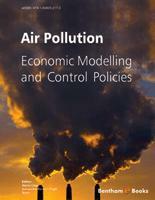 Finally, I would like to express my sincere gratitude to the authors who have contributed to the chapters. I am also grateful to anonymous reviewers for valuable comments and the staff members of Bentham Science Publishers, particularly Ms. Fariya Zulfiqar and Ms. Salma Sarfaraz for their kind support and help.